Map from Great Circle Mapper - copyright © Karl L. Swartz. 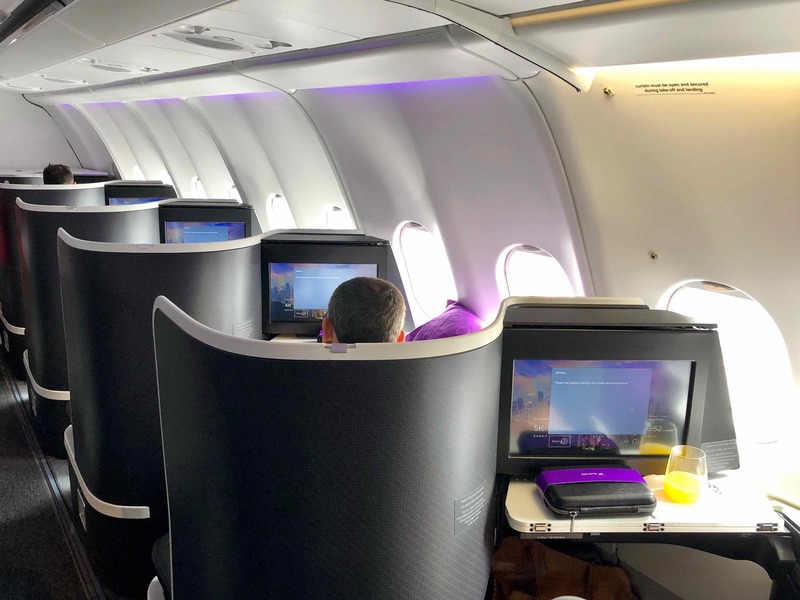 Australia’s second-largest carrier flies its latest Business Class product to this important Asian hub, and I recently had the chance to check it out. 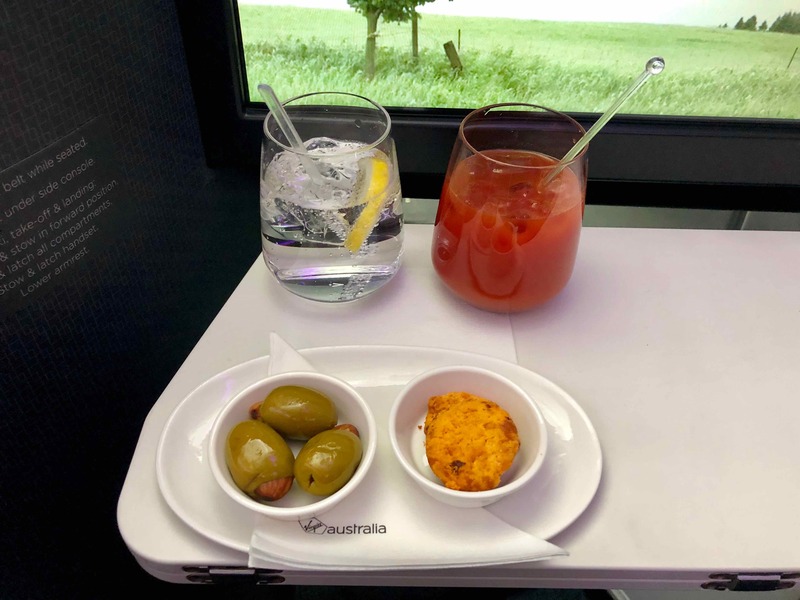 Full disclosure: the airline sponsored my flight, however, as you’ll see, I aim give my honest opinion on the experience, as if I were to have booked the flight with my own points or cash. 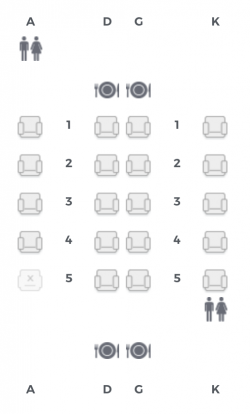 Interestingly, only 3 of the 20 seats on my flight were sold one day prior to departure, leaving me to think that the full cabin I walked into was mostly upgrades. 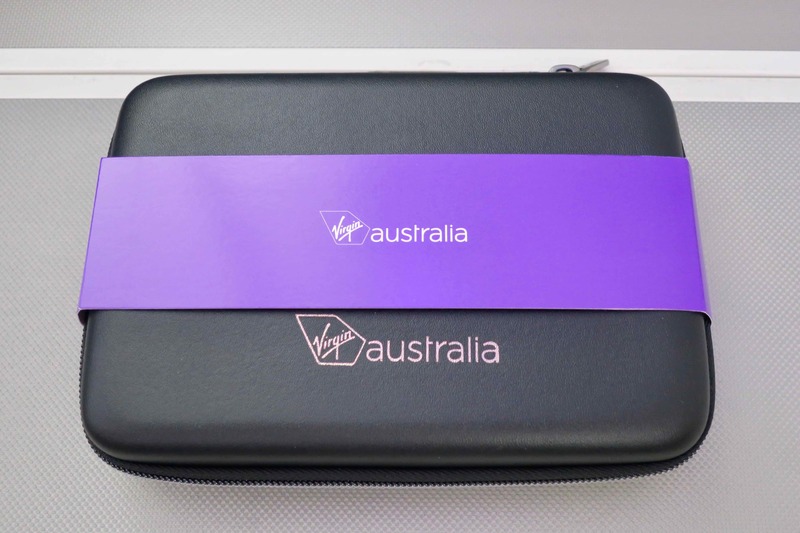 This is the same product you’ll find on East Coast – West Coast domestic flights in Australia. 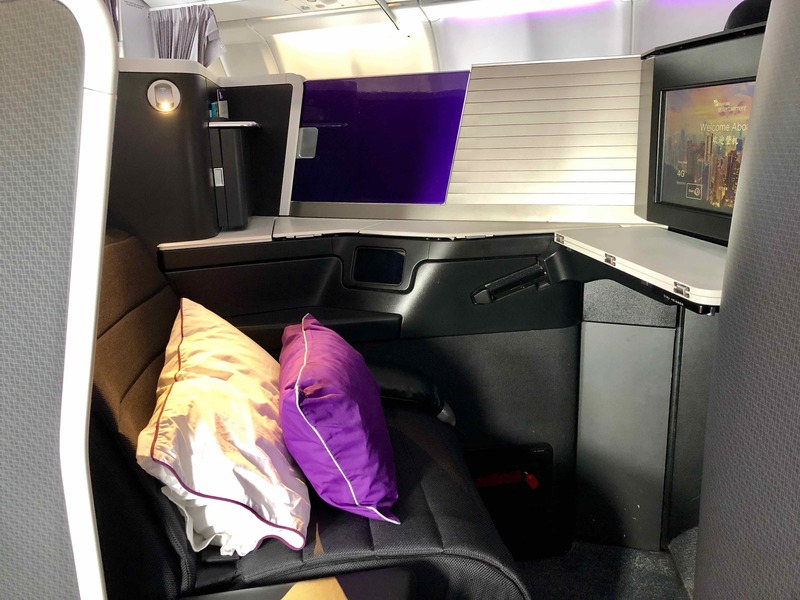 The difference between this product and the 777 flying between the East Coast of Australia and LA is that the 777 seat is longer and wider and that cabin has an inflight bar. 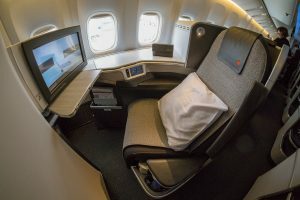 The cabin is not huge, with 20 Business Class seats arranged in a 1-2-1 configuration across five rows, providing direct-aisle access to all passengers. Compare that to Qantas’ A330 on the same route, with seven rows, and Cathay Pacific with ten. The seat is very cushy but a little bit worn. I really liked the adjustable armrest, which gives the feeling of spaciousness (or enclosure from the aisle). This is a great product for tall people, as the footwell is really long, measuring 203cm. There is a full turndown service, with comfy pillows and a doona. I did find the mattress pad a little lumpy to lie on. The seat controls are uncluttered and easy-to-use. As the front galley is used for the preparation of food and the one at the back is not but gets a lot of foot traffic to/from the two rear bathrooms, I would recommend avoiding the first and last rows. That means that Rows 2-4 are the best bet. 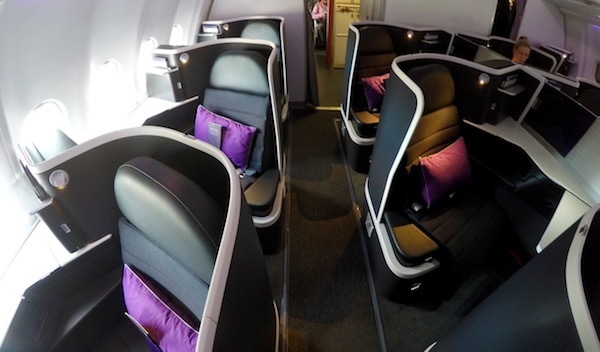 Solo travellers will prefer a window (A or K) seat, and K gets less foot traffic than A. For those travelling accompanied, the centre seats (D and G) may be preferable. These feature an adjustable privacy divider. 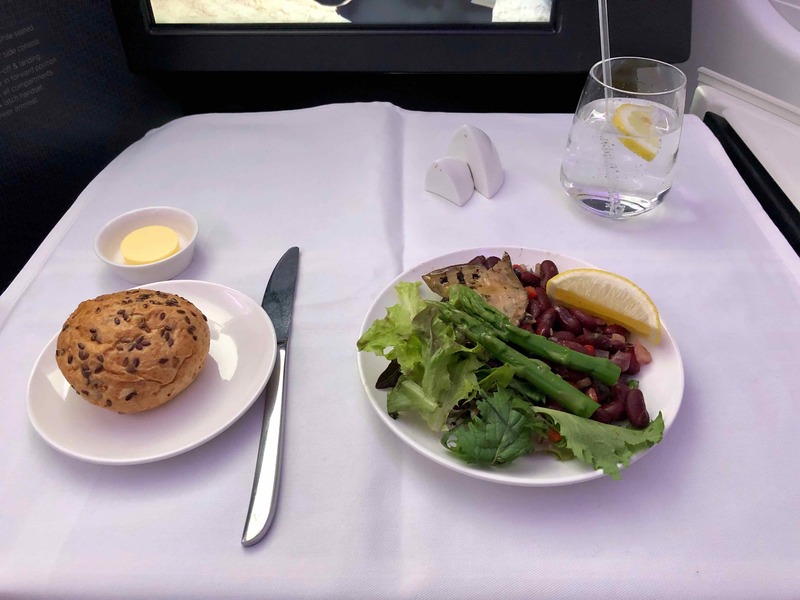 I found the dining to be exceptional, just like on my Premium Economy flight to Los Angeles 1½ years ago. The three-course first meal service was quicker-than-average without being rushed. 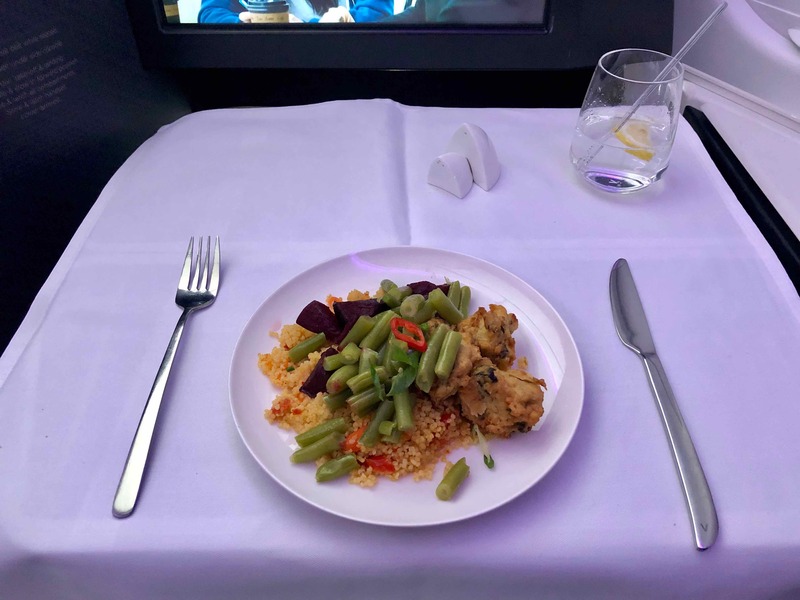 A second meal is served two hours prior to landing. 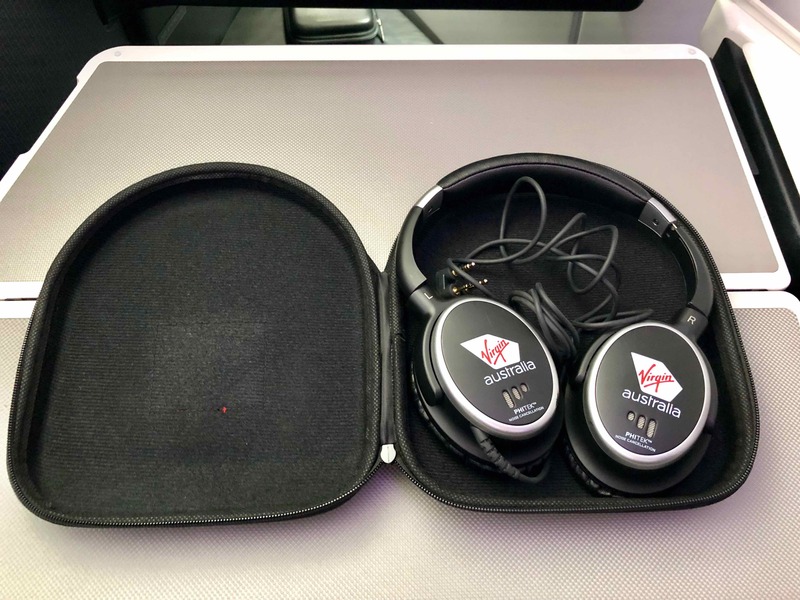 Reviews of this product both from Point Hacks readers and other bloggers are generally positive, noting the friendliness of the cabin crew. I found the customer service from check-in and boarding to onboard service and disembarkment to be warm and professional. 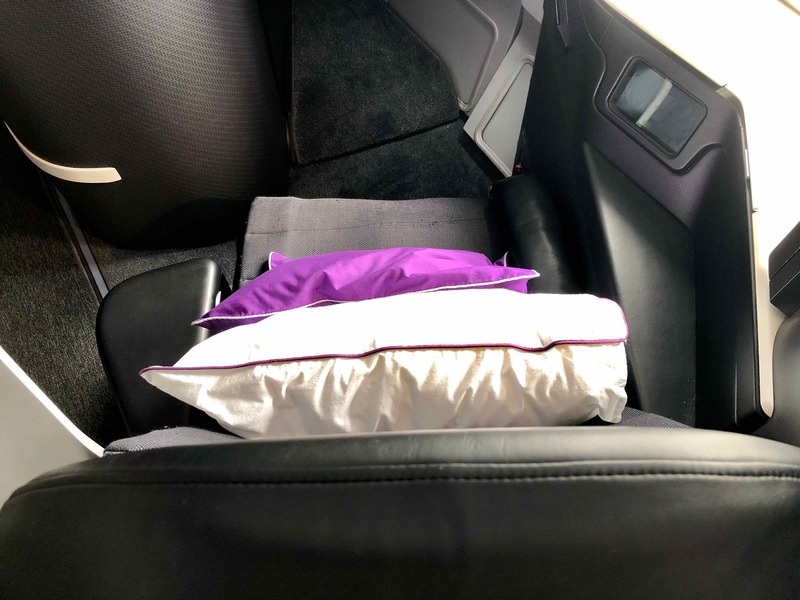 As it was my first time flying this product, I was especially impressed that the crew member taking care of me took the time to give me a tour of the seat. Unfortunately, one of the supplementary cabin crew who took on duties while the primary members were resting during the middle of the flight was quite rude and terse when I ordered a coffee, which then took ten minutes to make and came back cold. This left me with a tainted impression of my experience on the flight and I raised my concern with the purser, who apologised. This unfortunate event seemed to be the exception rather than the rule. 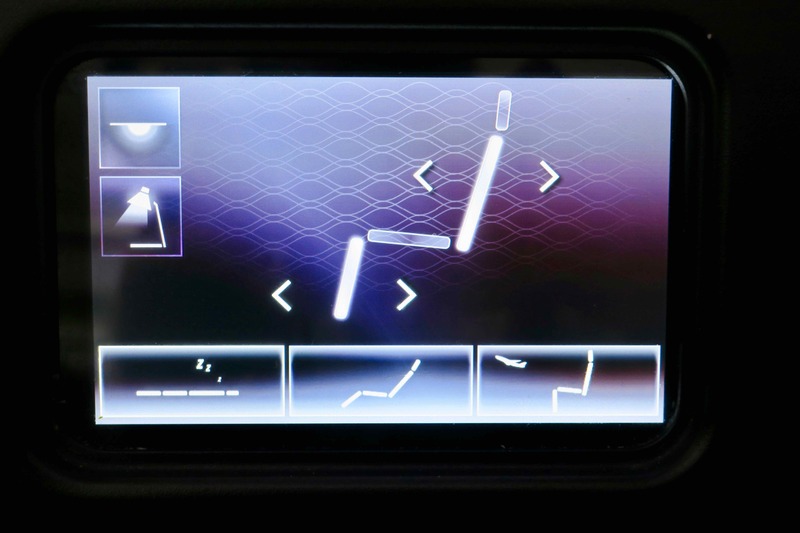 The touchscreen is responsive and can be easily reached when seated in an upright position. There is a remote for when you are lying down, but note that the screen doesn’t tilt, which is not ideal for viewing. In terms of the selection, I did not think the new releases section was very broad, but there were ample choices amongst the TV shows. There are three lavatories dedicated to the Business Class cabin, which compares favourably with Cathay Pacific and Qantas’ offerings. However, they are the same in size as what you’d find in Economy. 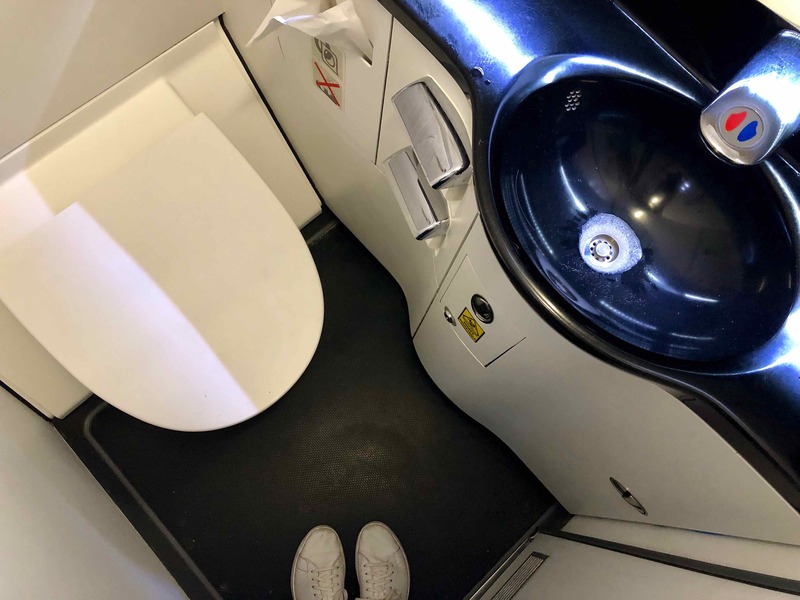 I never had to wait for the bathroom, but I did notice that they were not particularly upkept by the crew in terms of cleanliness for the duration of the flight. 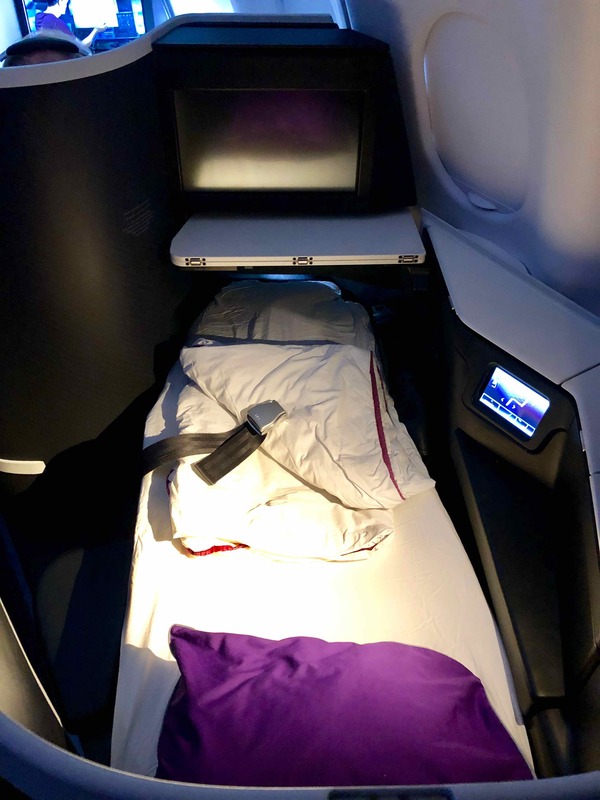 The pyjamas (or ‘Sleep Suit’ as they were introduced to me) are the most comfortable I have worn on a plane, even better than in Cathay Pacific First Class. 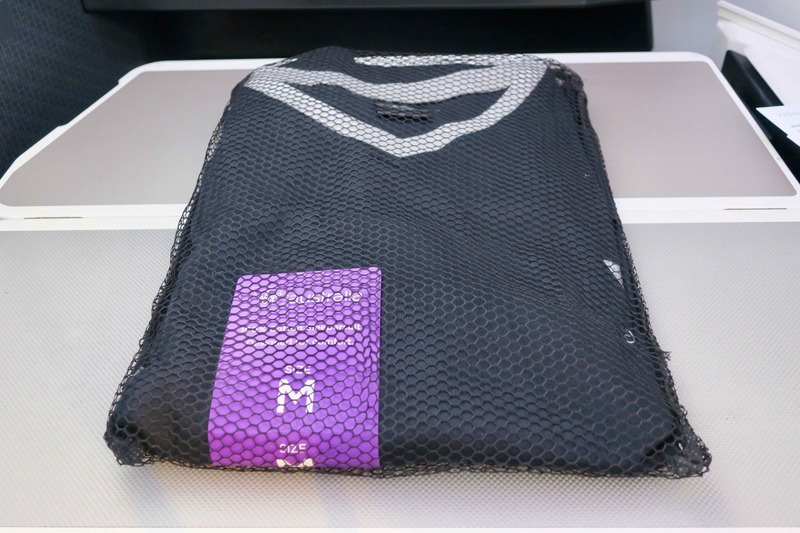 The amenities kit is stylish and minimalist. 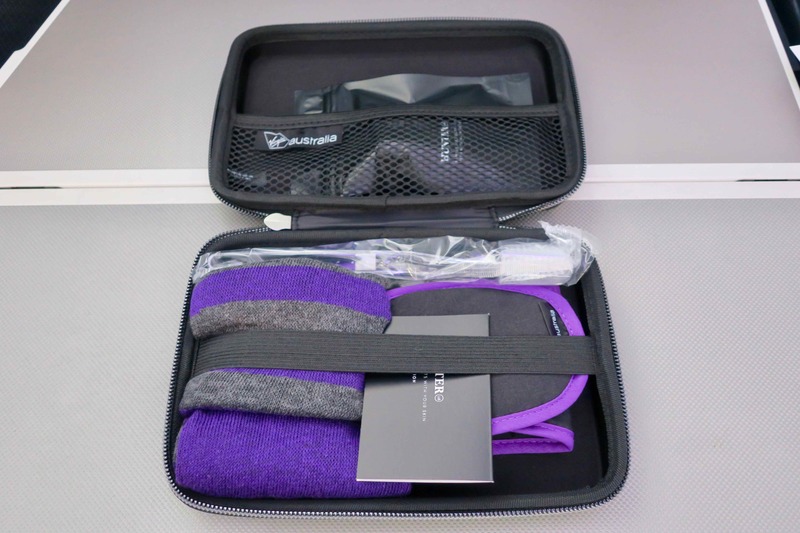 It is average for what you can expect to find on a Business Class flight. I found the noise-cancelling headphones to be effective but uncomfortable after around two hours of use. This aircraft is not yet equipped with wifi. 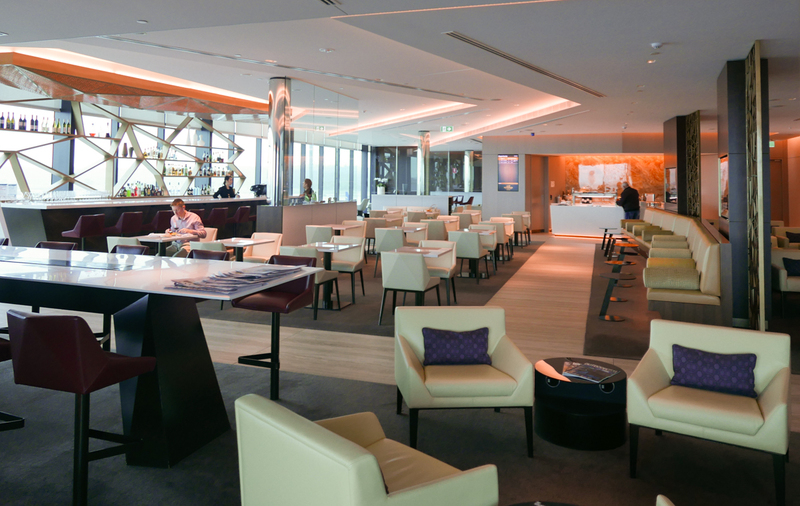 Passengers departing Sydney and Melbourne get access to the excellent former Etihad Lounge, with à la carte dining. 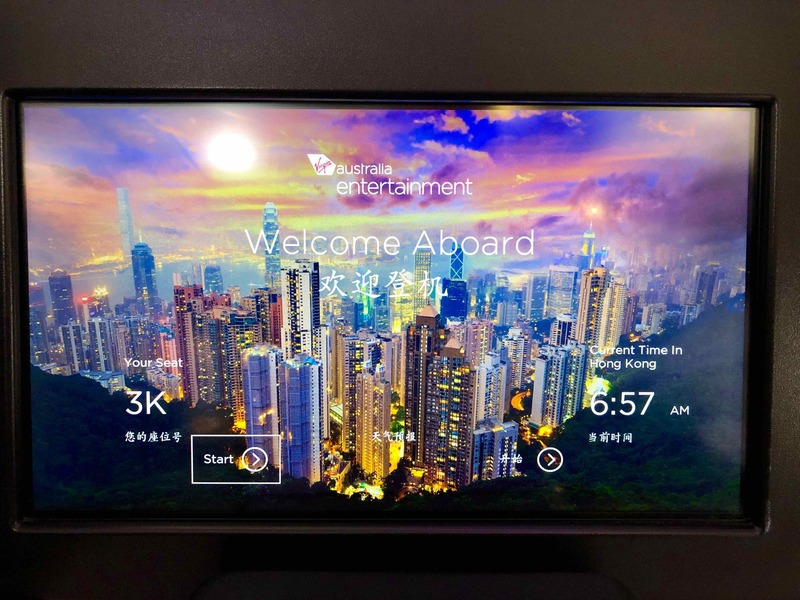 On the way home, The Club Autus from Hong Kong Airlines is the lounge that is used at Hong Kong Airport. It was renovated in late 2017 and gets generally positive reviews. Summing up: why choose this flight? If you can find award space one of these routes, I would strongly recommend trying out this product. 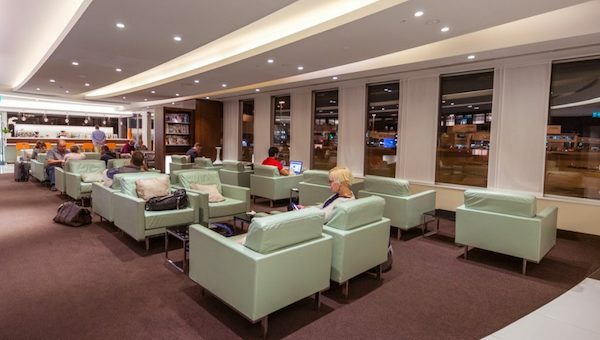 You’ll enjoy excellent lounge access and a solid product all-round, especially in terms of seat comfort and dining. 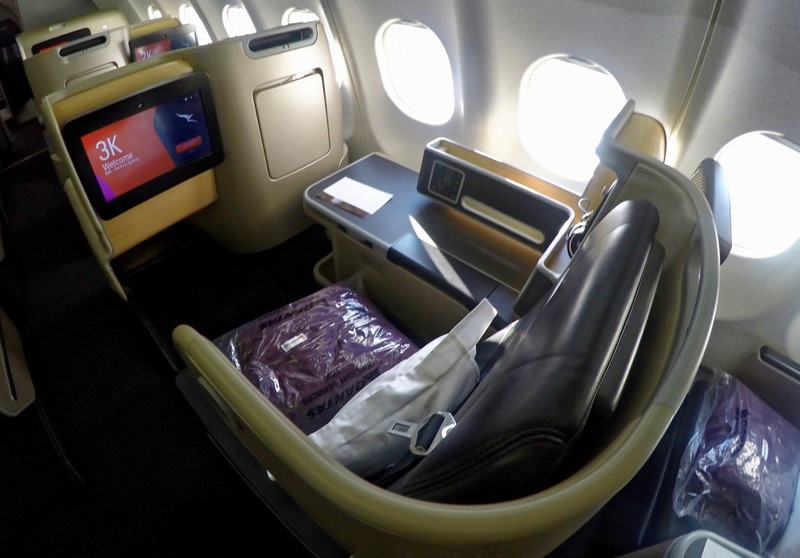 However, a refresh of this cabin may be in need in coming years as the seats are starting to show their age. 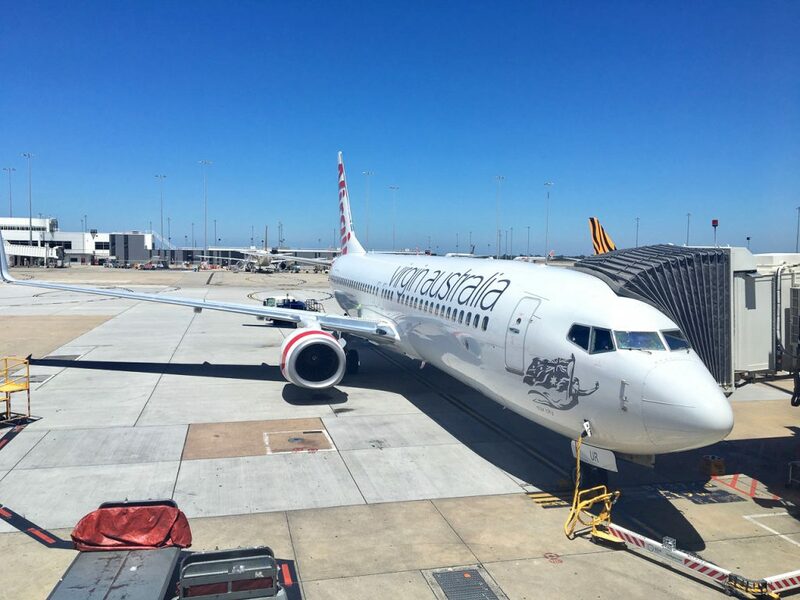 The writer flew from Sydney to Hong Kong courtesy of Virgin Australia. Matt is a Content Producer for Point Hacks, joining the team in 2016. Originally from Sydney, he won the green card lottery and now bases himself in the US for half the year and abroad for the other half. His favourite destinations so far have been Japan, Iran, Colombia, Israel and South Africa, and his top flight experiences in Cathay Pacific First, SWISS Business and Singapore Airlines Economy Class. 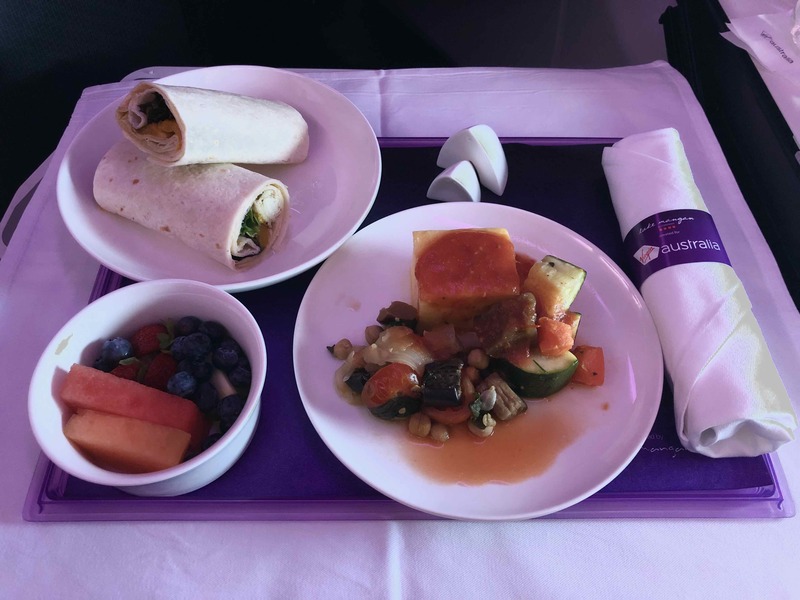 A solid alternative to transiting through the US West Coast, with a comfortable seat, delicious food and friendly service. 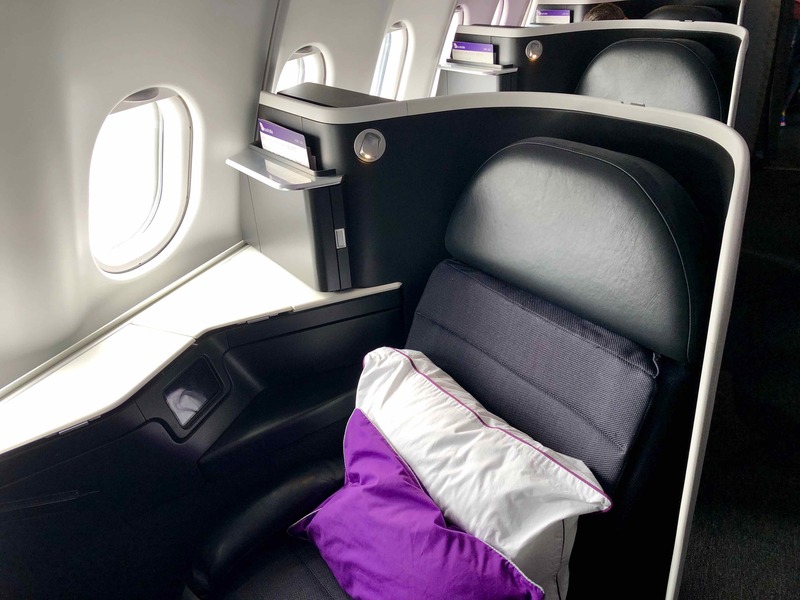 Plus, how to use Airpoints Dollars, MileagePlus, LifeMiles or KrisFlyer miles to redeem a seat.